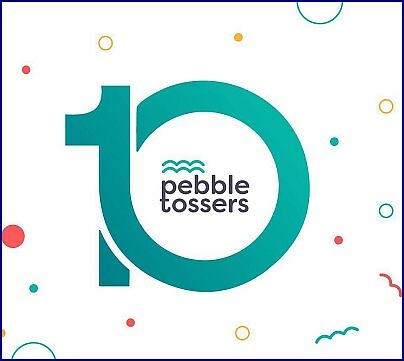 Heneghan’s Dunwoody Blog: Pebble Tossers celebrates 10 years of serving others with an Anniversary Gala at the Dunwoody Country Club this Friday Night. Pebble Tossers celebrates 10 years of serving others with an Anniversary Gala at the Dunwoody Country Club this Friday Night. Join us as we celebrate 10 years of serving! The festivities will include an evening of celebration, highlights from the past 10 years, food + cocktails, and an on-site service project! For our 10th-anniversary festivities, guests can look forward to an evening of celebration. Enjoy highlights of the impact that our dedicated community has had on Atlanta and its surrounding areas over the last decade. We’ll also invite guests to get in on the fun by participating in a mini-service project to celebrate the occasion! This event will feature cocktails + delicious food stations. Guests will also have the opportunity to participate in a Live Auction and Silent Auction.